Advance work for the Skyway Stage 3 project has started, so expect traffic to be utterly frustrating. 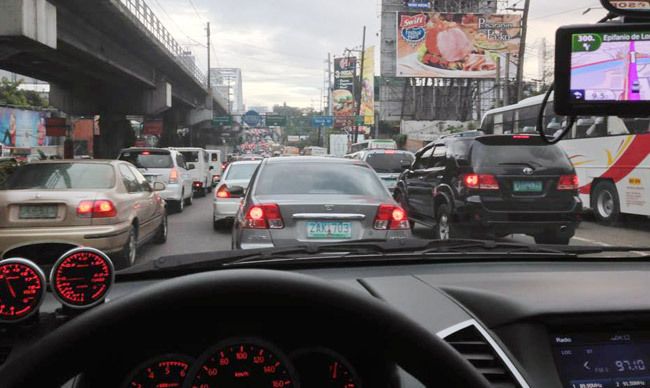 To put order into the ongoing roadwork, the Metropolitan Manila Development Authority has released an advisory on alternate routes for private vehicles driving southbound. * Along Pedro Gil, turn right on Onyx, left on Zobel Roxas, right on Kalayaan Avenue, and right on Don Chino Roces Avenue to your destination. The Metro Manila Skyway Stage 3 project is a six-lane (2x3) fully elevated 14.8km expressway with eight interchanges at Buendia, Plaza Dilao, E. Rodriguez, Sgt. Rivera, Pres. Quirino, Aurora Boulevard, Quezon Avenue and Balintawak. Stay tuned with updates on road projects and the status of Skyway Stage 3 project through MMDA's Metro Manila Roadway Tablet (mmroadway.com).